Today I had so much fun preparing my next class. 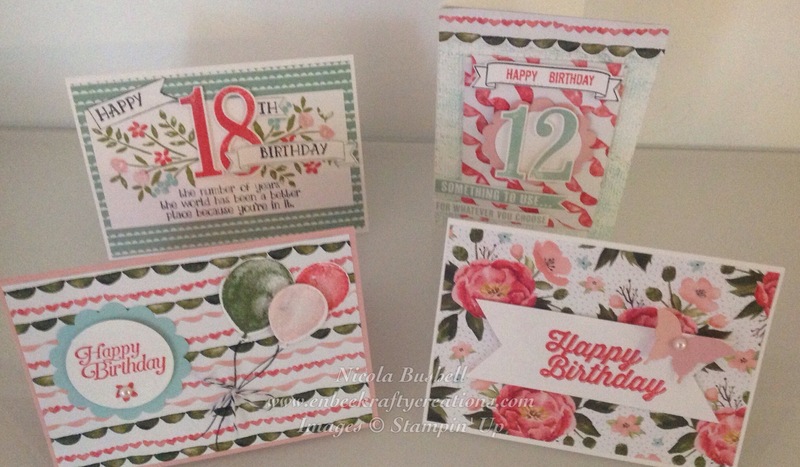 It was so good spending time playing with my stamp sets, inks and papers. 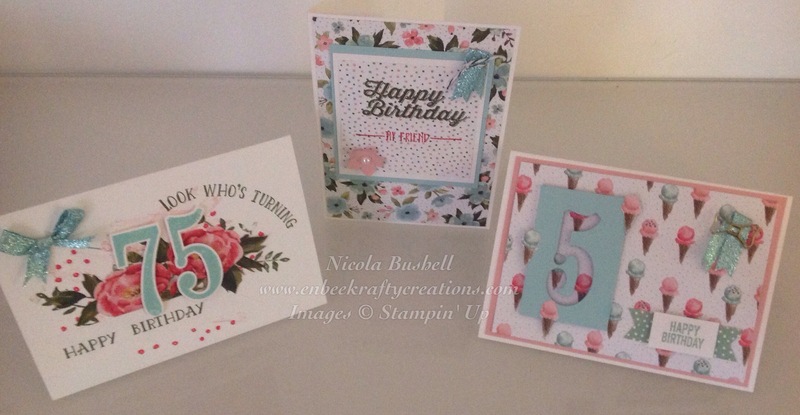 I just love the Birthday Boutique Designer Series Paper and the cardstock, inks and embellishments that co-ordinate so well with it. Although I sometimes find the thing that takes the longest is deciding a design for your card. So why not come along to my next class where all the hard work is already done for you. I have designed 16 cards for you to copy on the day . 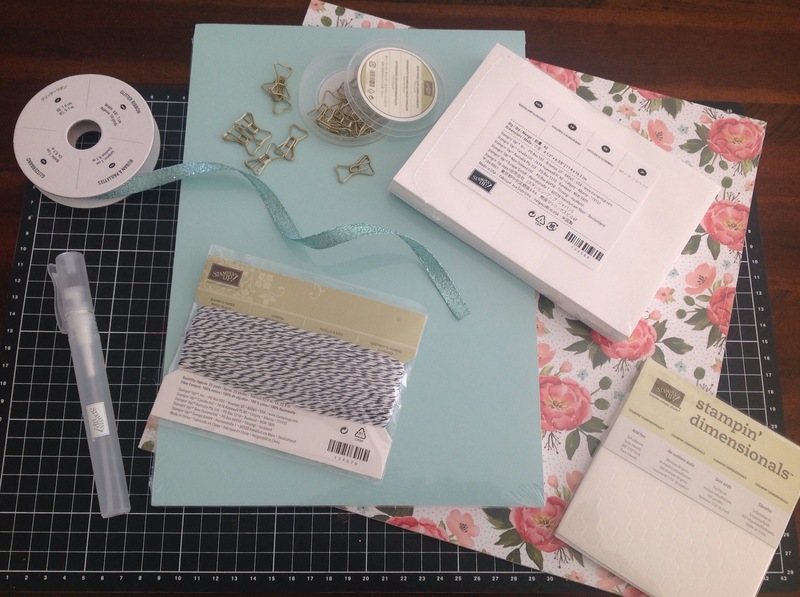 All you You have to do is turn up and craft till your hearts content . 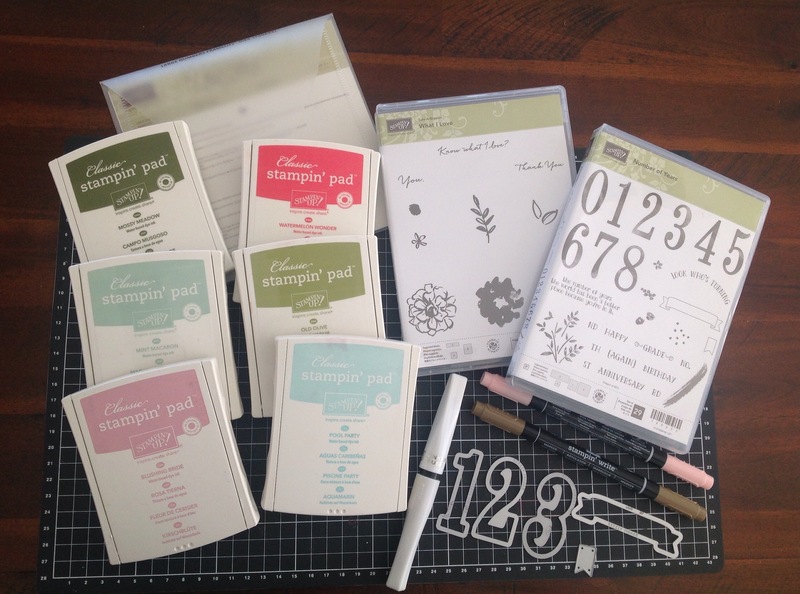 Get to use my stamp pads, wink of stella, and stamp sets during this class. 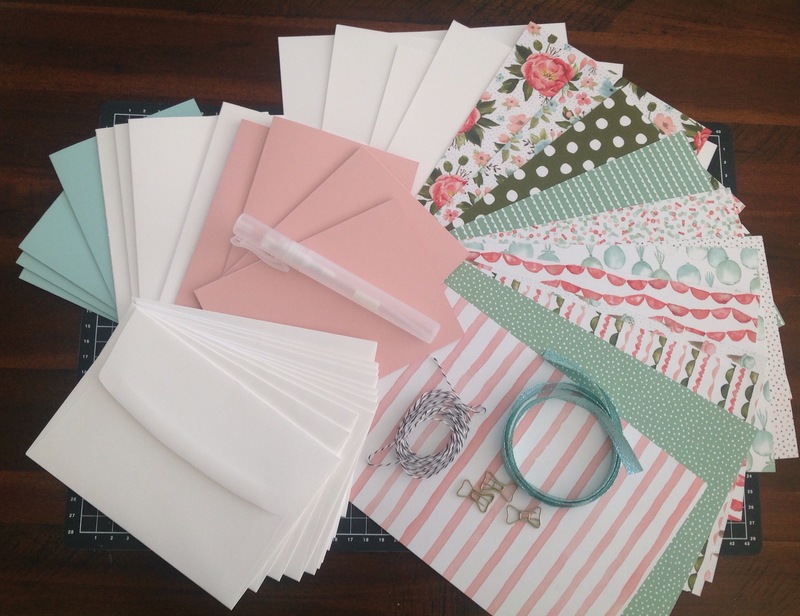 Price includes all material to make up to 16 cards, Birthday Boutique Dsp 6 sheets-6×3 (1 each double sided design), Birthday Bouquet Cardstock (2 of each Colour) Whisper White Cardstck, 1 Stampin Sritzer, 1 ink refil, Bow Paper Clips Embellishments, Pool Party Glitter Ribbon, Basic Black Bakers Twine and envelopes for your cards. You can contact me on 0420402561 for more info or e-mail me through the conatct me me page on this site.